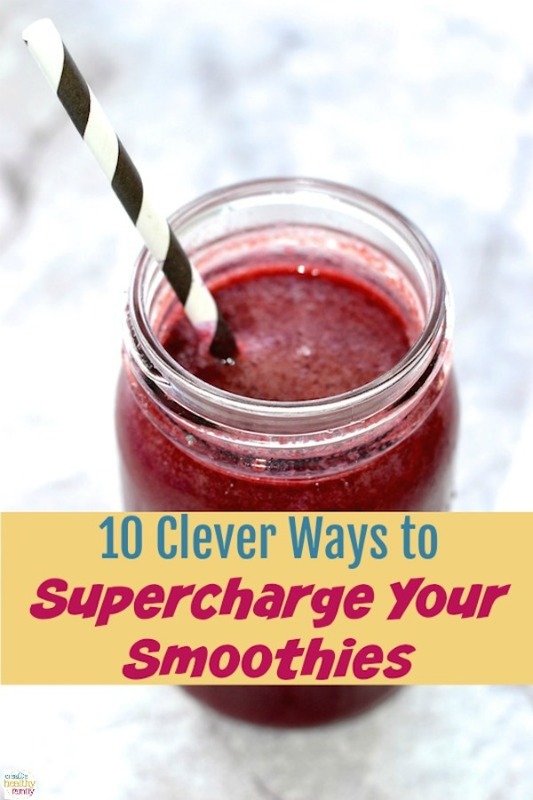 Get ready to supercharge your smoothies with these 10 clever and kid-friendly hacks! 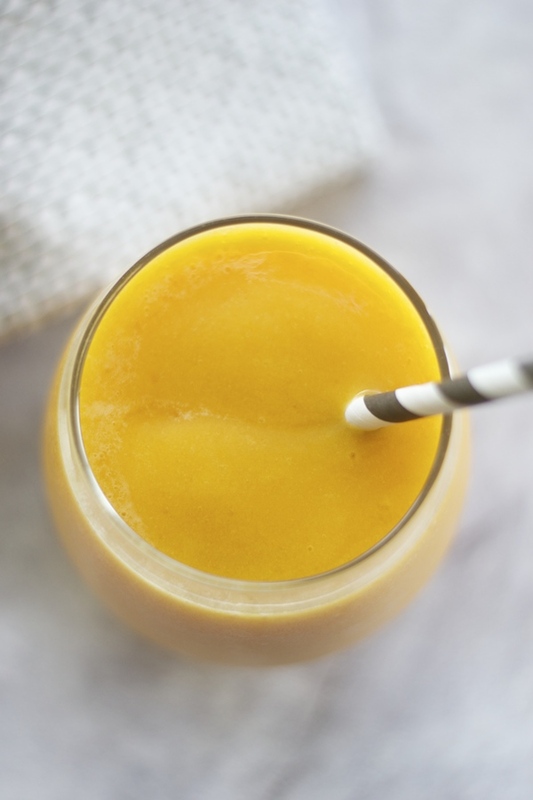 Smoothies on their own make great breakfast and snack ideas, but when you follow these tips, you’ll take it from good to outstanding with little to no extra work. Try just one add-in to boost the benefits of healthy smoothies or mix and match for the ultimate breakfast shake! Let’s check them out! While these ways to supercharge your smoothies are safe for most people, it’s always important to talk to your doctor before adding supplements to your diet if you have certain health conditions. None of this is meant to be taken as medical advice. Probiotics have many proven health benefits, but they’re especially good for people with digestive problems (think Chron’s disease, IBS, and such). Unfortunately, things like overuse of antibiotics, processed foods, and certain medications mess with the balance of healthy bacteria in our guts. Adding probiotics to your morning smoothie helps put good bacteria back into your body, which in turn aids in digestion. You’d be amazed at how much poor digestion can affect your body! Liquid or flavorless powder probiotics are the easiest to add to smoothies. For kid-friendly smoothies, I recommend RAW Probiotics Kids from Garden of Life. Collagen isn’t just for skin care products anymore! The latest health trend has everyone adding collagen powder to everything from coffee and tea to their morning smoothies. What does it do, exactly? According to many studies, adding collagen to your diet helps improve skin elasticity and may help relieve joint pain. It’s not just for older adults, either. Those same studies found that it was beneficial to college athletes. Again, unflavored powder is the way to go with smoothies. Also, when it comes to kids, keep in mind that collagen is safe in moderation. You’ll definitely want to talk to your pediatrician first. Here’s a hack that’s completely safe for all ages and doesn’t require an extra trip to a health food store! 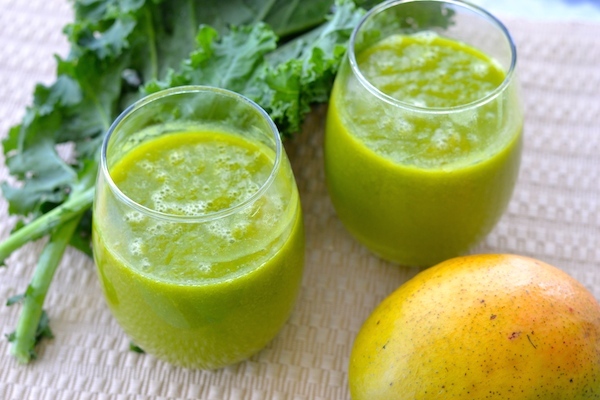 Adding veggies like kale, spinach and other leafy greens seriously ups the healthy ante on smoothies. On their own, kale and spinach are nutritional powerhouses. 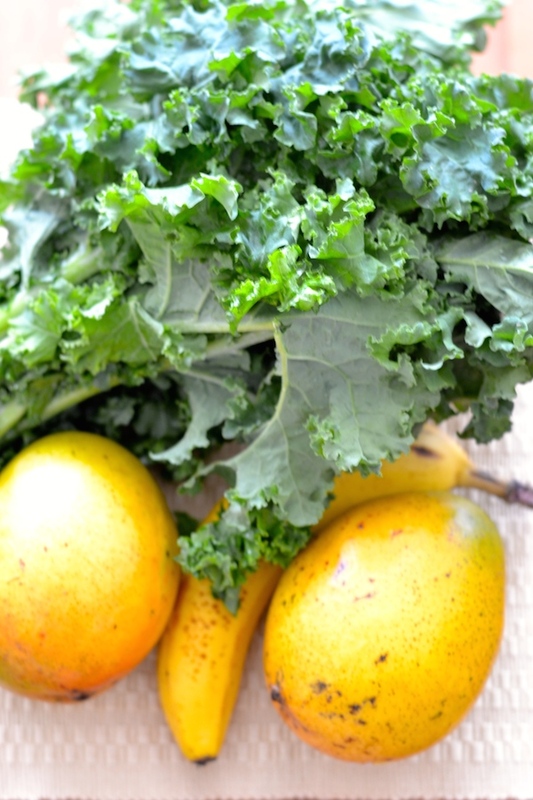 Kale is loaded with Vitamins A and C plus a good chunk of your iron, magnesium, and calcium requirements. Spinach is also high in A & C. Together, they put you well on your way to your RDA of many major nutrients. Plus, if you have picky eaters, it’s easy to hide leafy greens in a fruity smoothie! 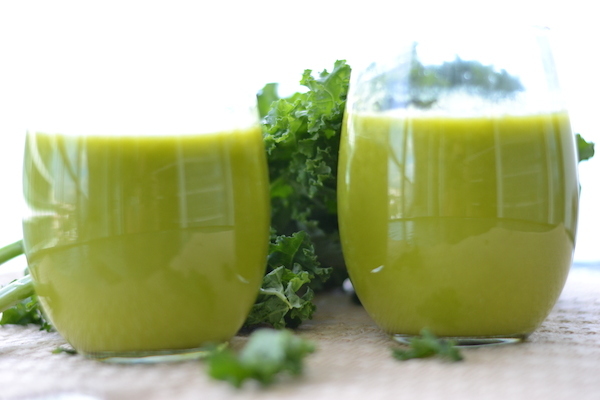 Check out these tips on how to make the perfect green smoothie for kids for some ideas. There are so many wonderful and healthy nuts and seeds to add to smoothies that you can try a different one every day and never get bored! Try walnuts, almonds (or almond butter), or delicious macadamia nuts for added protein and Omega-3s & 6s. Even peanuts will work in a pinch, although they’re not as rich in the omegas as other nuts. If you have nut allergies, chia seeds and other seeds are a good alternative. They deliver similar health benefits, but since they’re not in the nut family, they won’t trigger a reaction (as long as you’re not also allergic to the plants that the seeds come from, of course). Getting kids to take their multivitamin can be a struggle, especially if you have a child that doesn’t do well with certain food textures (like gummies and chalky chewables). Even some adults can’t stand the taste or texture of vitamins. That’s where a liquid multivitamin comes in super handy. 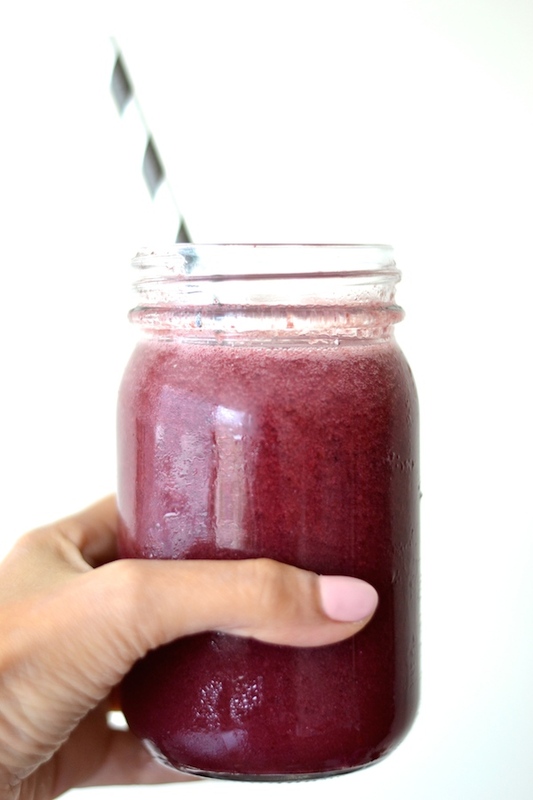 Check out this tutorial on why and how to make a multivitamin smoothie. You don’t have to buy expensive shake mixes to pack a more powerful protein punch. Just add in some flavorless whey protein powder to your favorite smoothie recipe. It’s the same stuff used in those costly shakes, and it tastes much better mixed in with fruits and veggies than in those chalky protein drinks. Here’s a smoothie hack that just about everyone can get onboard with, and that’s super kid-friendly, too. Adding cacao powder to your smoothie doesn’t just make it taste delicious, but also has numerous health benefits. For example, cacao or cocoa powder may help improve good cholesterol, lower your risk of heart disease, and help boost your mood. Plus, cacao powder in smoothies has more benefits than in baked goods because you’re not processing the flavonoids or polyphenols out of it. While you want to make your smoothie as healthy and relatively low-cal as possible, don’t be tempted to skip all fat sources. 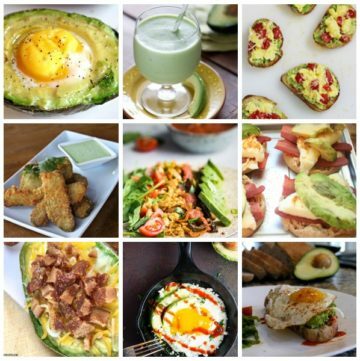 Healthy fats, like coconut oil and avocado provide your body with essential fatty acids, which actually lower your risk of numerous health issues, like heart attack and stroke. These healthy fats are even more important for kids, since they play such a vital role in developing brain tissue. This tip isn’t an add-in so much as an overall way to supercharge your smoothies. You don’t want to stick with the same recipe every day. Instead, rotate through a few favorites, so you’re getting a mix of nutrients throughout the week. Here’s another good idea: plan your rotation based on your main weekly menu. For example, if Friday is always pizza or take out night, go with a green smoothie loaded with vitamins and minerals to help balance out your diet for the day. One last word of advice for the healthiest possible smoothie, make sure you’re using real fruit or 100% natural fruit juices. Do not use “sugar-free” diet juices with artificial sweeteners. They’re just as bad for you as diet soda! While fresh fruit is always best, frozen works well too as long as it’s frozen in its own juices. If you have to go with fruit juice, check the labels. It’s shocking how little fruit some juice contains. Even if you just follow one or two of these tips each day, you’ll elevate your smoothie from so-so to so wonderful! Thank you! Smoothies to me are the best way to get more nutrition to my kids daily diet!